Windlab Africa is currently developing 16 wind power projects in Ethiopia, Kenya, Tanzania, Zambia, Uganda, Rwanda, Burundi and Malawi, totaling 1,650MW, and from now will work on this in partnership with Eurus Group. Africa’s Sub-Saharan area already has a population exceeding 1 billion, and each country in the region is showing a remarkable GDP growth rate. On the other hand, electrification in the region is currently standing still at a low rate and from here on a heightened increase in electricity demand is expected to follow economic growth. 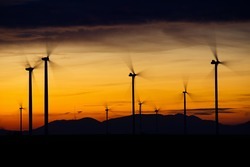 The two companies have already worked together in Australian wind energy projects.